Our direct-connect phone system sends leads generated from our TV commercials directly to your phone so you never lose out on any leads. These calls are tracked in our real-time computerized phone system so you can see detailed reports of the calls at anytime. Web form leads submitted through the Internet are also directly routed through our proprietary web application to you via email or fax so you never lose out on a potential case. We have call center operators that take certain calls from Internet campaigns. 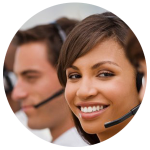 Our experienced call center staff will call or email you the leads. If your office line is busy when the injury victim is calling, the call is then routed to our office. Our call center staff will take the call for you and then forward the lead to you. We use dozens of toll free numbers to track lead performance. All of our TV networks are assigned specific toll free numbers so our media buyers can analyze the results. 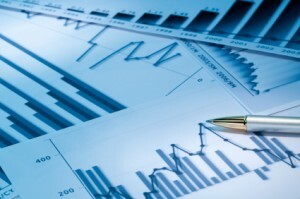 The detailed cost-per-call reports are produced daily for our media buyers. We track the cost-per-click and cost-per-conversion of all our local and national, mobile and desktop Internet Pay-Per-Click campaigns through Google Adwords. We further use Google Analytics to analyze our traffic source to improve our bidding strategy and to track conversions. Our data analysts also track the cost-per-lead of all our Bing, Yahoo and organic leads. Our seasoned in-house data analysts monitor cost-per-call constantly to measure the effectiveness of all our media buys. This allows us to allocate budgets efficiently between national and local as well as TV and Internet spend to make sure your call volume is maximized through all channels. Call us today at 1-877-614-5678 to speak to our sales staff.